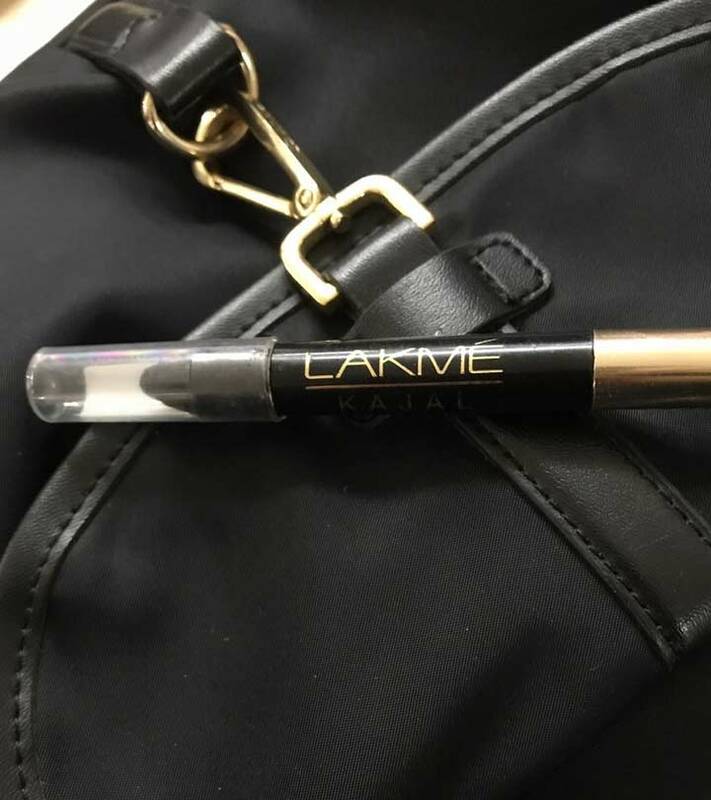 Lakme Kajal Pencil Review and Price: How To Use Lakme Kajal? Any makeup essentials list is incomplete without a good kajal. In fact, using a pencil liner for your eyes is probably one of the first things you did when you started wearing makeup. Wearing this basic cosmetic can enhance your look in so many ways. From drawing attention to your eyes to making your lashes look lush, a good liner does it all. In this article, I decided to go back to the basics to review one of the most popular liners before the arrival of the new Eyeconic Kajal and Maybelline’s Colossal Kajal ranges—Lakme Kajal. Lakme’s Kajal is described as an easy-to-apply pencil kajal that gives you a smooth finish and adds depth to your eye-makeup with its dark hue. The product claims to be smudge-proof and waterproof. It also claims to help your eyelashes grow longer. Like most old-school pencil liners, this one has to be sharpened once you are through with the tip. 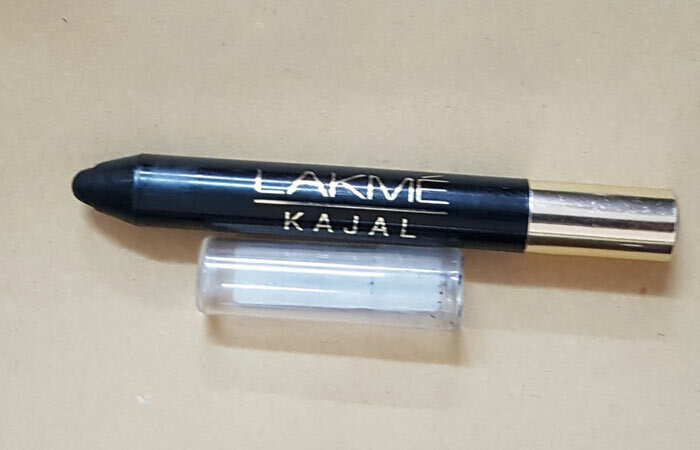 This black kajal is packaged as a jumbo eye pencil that needs to be sharpened. The product is simply wrapped in clear packaging. 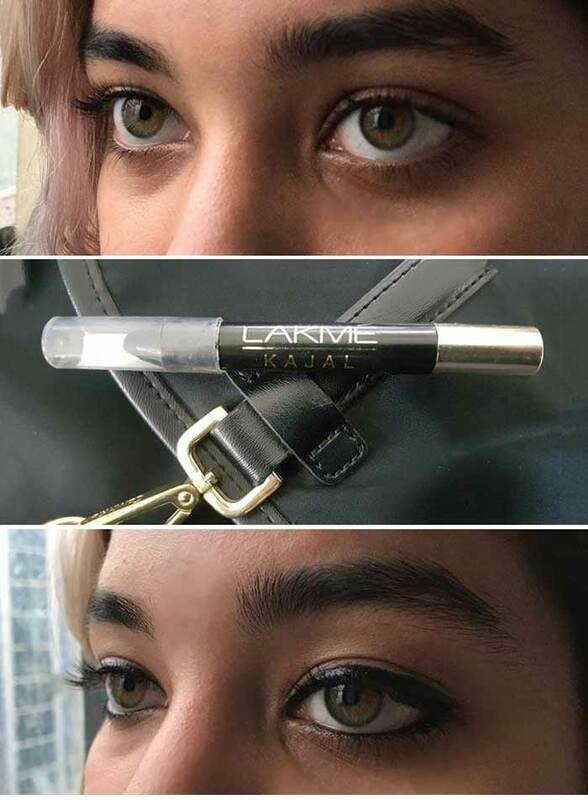 While the Lakme Kajal does not come with an ingredients list, it is mentioned online that the product contains the goodness of camphor and castor oil which help soothe your eyes. This explains the lash-growth claims as castor oil is a renowned ingredient that helps increase eyelash length. 36 months from the date of packaging. While the product was extremely budget-friendly, it was the farthest thing from being smudge-proof (even after you give it time to set,) and it was one of the most disappointing cosmetic products I’ve used. It glides on well and has a smooth texture but takes multiple strokes to get to the desired darkness. It started to smudge onto my crease within the first hour of wear and lightened to a grey within the next couple of hours. If you have oily skin, or sweat a lot, this is definitely not the right product for you and raccoon eyes are almost impossible to avoid. On the other hand, if you have dry skin and dig the smokey eye look, this product might just work for you. And since the kajal smudges so easily, it is super easy to remove. As opposed to the claims made by the brand, the kajal did feel a bit heavy, and I was extremely aware of my eyes until the product smudged off. However, this could have been because I’m used to wearing liquid eyeliner. As for the lash-growth claims, it’s hard to say as I haven’t used the liner long enough to notice any results. 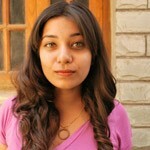 However, since the kajal contains camphor and castor oil, it might just improve the volume and length of your lashes. Overall, the product did not live up to its claims but is worth the money if you want a liner that will give you a good smokey eye look. 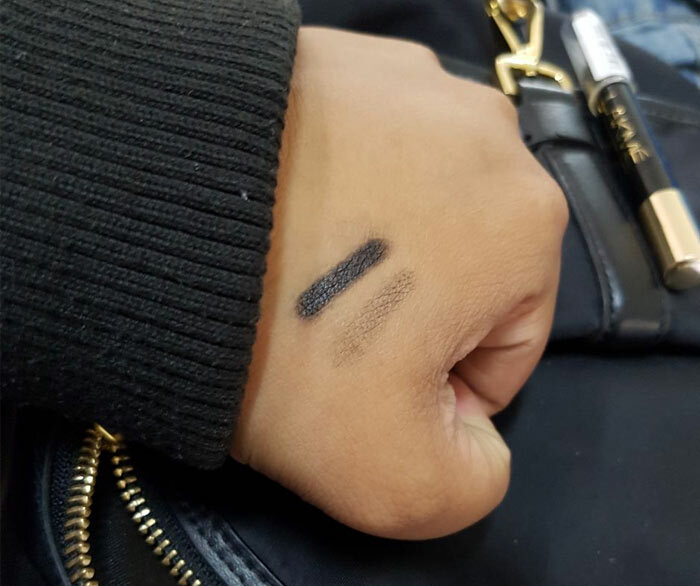 The swatch on the left in the photo above is how the kajal looked immediately after application (with 3 strokes), and the swatch on the right is 3 hours after application. By this, it’s safe to say that it is almost impossible to keep this liner from smudging for more than three hours. How To Apply Lakme Kajal Perfectly? Gently pull down your lower lid with your index finger to expose your waterline. Dry your waterline with a q-tip. Be careful not to poke your eye as you do this. Run the kajal along your waterline. Clean up any smudges with the q-tip. 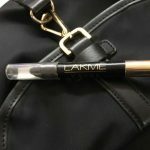 How To Use Lakme Kajal As Eyeliner? Sharpen your pencil for precise application. Placing a finger on the outer corner of your lash line, pull gently so that your skin is taut. Run the kajal along your lash line starting at the inner corner and working your way to the outer corner. Select a makeup remover that is meant for removing eye makeup. Saturate a cotton pad with the makeup remover. Place the cotton pad onto your eye and hold it there for about 20 seconds. Start wiping off the liner with gentle downward strokes. Alternatively, you could follow the same steps using makeup remover wipes or baby wipes. Considering that the kajal has really bad lasting power, I would rate it 2/5. As I mentioned before, if you like a casual smokey eye look I would say go for it and buy this product. Since I prefer products that do not smudge, I am unlikely to repurchase it. Using the Lakme Kajal reminded me of the little tubs of eyetex that were in most households when I was growing up. While it does have a nostalgic feel to it, I prefer using smudge-proof makeup, and this product just does not deliver. However, the things I do not like about this product might be things that are sought by another. Have you used Lakme Kajal? Tell me about what you like/dislike about it in the comments section below.